First thing you'll want to do is sign up for Pampers Gifts to Grow and Huggies Enjoy the Ride Rewards. Sooner than later you will be purchasing diapers and no matter which brand you choose you'll find promo codes on your diapers and wipes products. If you plan to formula feed check out Similac Strong Moms and Enfamil Family Beginnings. Citrus Lane creates surprise packages for kids and their parents. We send an assortment of the best products–recommended by real moms and dads–right to your door each month. A Citrus Lane customer receives a beautiful box each month that is tailored to the age and stage of the child. The packages start with newborns, and go up to 5 years of age. In each box, subscribers get four to five top–rated products, along with insights into why we love and recommend these items. Right now new customers can enter code TAKE40 at check out to receive 40% off your first package! You'll want to keep baby protected in the car seat so why not grab a free Carseat Canopy. Just click on "Shop Now", select any canopy you would like (be sure to go to their sizing page so you can get the right size carrier for you). Once you have selected your size, you will automatically be directed to the "shopping bag" where you can enter the promo code ENBABY to reduce the price to free. I ordered a blue one of these for a friend and had it personalized. I was shocked at the quality - this was WELL worth the money! Shipping is $12.95. Seven Slings is offering a free baby carrier (a $48 value) with the coupon code ENBABY at checkout. To get the deal just go HERE, click on 'Shop Now", select any baby carrier you would like. Once you have selected your size, you will automatically be directed to the "shopping bag" where you can enter the promo code ENBABY . This promo code will take 100% off of the baby carrier purchase and all you are required to pay are the shipping fees, $14.99. Here's a deal I didn't have when I was pregnant with the kids but I wish I would have… Belly Button Band products button into your pre-pregnancy pants to adjust to your expanding belly and keep them secure. Wear your favorite jeans all throughout your pregnancy and for the in-between sizes after pregnancy with Belly Button Band! Just use the coupon code: ENBABY to get 2 Belly Button Bands free or 1 free Belly Button Body ($40 value). Shipping is $13.95. I wouldn't have been able to survive without my boppy - but if you want a less expensive alternative click on "Shop Now" and select the Nursing Pillow of your choice in one of 9 prints! Just use the coupon code: ENBABY at checkout for the discount. Shipping is $12.95. Uddercovers also offers a free patterned breastfeeding cover (a $35 value) with the coupon code: MYSAVINGS at checkout. Just choose your favorite cover – enter the coupon code and shipping is $11.95. You won't want to worry about their little legs getting code or their knees getting hurt when they start crawling so be sure to head over to BabyLeggings.com and get 5 free leggings with coupon code ENBABY at checkout. You'll pay shipping of $12.95 which is just $2.59 a pair, shipped! You'll find adorable baby leggings for boys and girls, and one to match every outfit or occasion. My little one also likes wearing hers with t-shirts on her arms and as leg warmers with her dance outfits. PLUS these make great baby shower gifts! Hum - Not sure this one would have been for me - didn't care what my breast pads looked like, but I was a little older when I had kids...Get 10 FREE pairs of Designer Breast Pads ($35 Value) today! 30 great styles to choose from. 2) Select your favorite pairs of Breast Pads - you will then be automatically directed to your shopping cart. 3) Enter the promo code "ENBABY" and we will deduct 100% off the cost of your Breast Pads - a $35 value! Breast Pads make GREAT gifts. Selections dwindle quickly, so get yours today! If you are expecting a baby or know someone who is, create your own FREE Target Baby Registry and get a FREE Welcome Gift packed with coupons and free samples including a Munchkin Latch bottle and MAM pacifier! And eight weeks before your baby is due, you'll receive a coupon valid for 15% off on remaining registry items in store and online! Start your Baby Registry by Amazon today and enjoy added benefits below. 2. Its universal. You can add items from any website. 3. Returns are free for 90 days*. Need to make a return? No problem. Just print a label and send it back. Learn more *Restrictions apply. Here's a few printable coupons you'll want to grab before they disappear! Wrap up the school year fun - Hurry over and start selecting your pictures now because Shutterfly is offering 101 FREE 4x6 Prints with code PERFECTSCORE at checkout. NOTE: Order 99 prints instead, shipping will be less. If you've been looking to change your room up, check out Designer Living for amazing quality and prices! Right now you can Save an Extra 25% Off sitewide with code HOT25 at checkout. 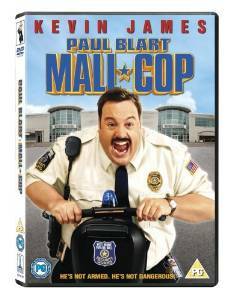 Right now you can get one of my favorite movies Paul Blart: Mall Cop on DVD for just $4.99 or grab the Blu-ray for $7.50! If you're looking for more bargains check out these hot DVD's priced under $5! Over 35 of the most popular Kindle Daily Deals of 2015 (so far) are Up to 80% off. Browse titles including "The Princess Bride," James Patterson's "Private Down Under," and J.D. Robb's In Death series. I really like this pair of shoes! Today ONLY - get these New Balance 20 Men's Cross Training Shoes for $49.99 (Retail $99.99). If your training program requires a lot of versatility, the Minimus 20v3 Cross-trainer is the shoe for you. Perfect for interdisciplinary workouts, the Minimus 20v3 provides a stable platform for weightlifting and resistance training, but that's not all—the Minimus 20v3 is also flexible enough to use for middle-distance running. An all-purpose shoe for the serious fitness fan. New Redplum - Bar-S, Zatarain's, Nexium + More! New Coupons - Colgate Toothpaste, Swiffer + More! Kohl's is offering 20% off your entire order when you use the codeYES2FRIENDS at checkout. Or you can head here and click on the get pass link to print an in-store coupon valid for 20% off. 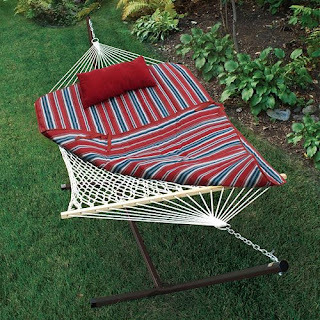 For example this Algoma 7-Piece Hammock Set is $79.99 (Retail $249.99) + $10 Kohl's Cash. PLUS for every $50 you spend, you'll get $10 in Kohl's Cash. Choose free store pick-up if available in your area or shipping is free on any order of $75+.